Jacque Maribe's boyfriend was arrested for suspected involvement in the murder of one Monica Nyawira Kimani at her apartment in Kilimani, Nairobi. The 28-year old Monica was found dead by her brother with her throat slit open in a murder grotesque and mysterious unlike any Kenyans have seen. Fast forward to today, and detectives are convinced that Maribe's fiance, Joe Irungu a.k.a Jowie knew more information than he gave up in preliminary investigations. Jaque Maribe is the famous one, and it is obvious that the news will follow her. Famous rapper Eminem admitted that " Fame hit me like a ton of bricks". Fame has its perks but it also drags the skeletons with it and any chance to link your name to some drama is a matter of when and not if. Jacque was embroiled in a love saga that spread rumours that touched on Statehouse official, Dennis Itumbi and even Deputy President, William Ruto. 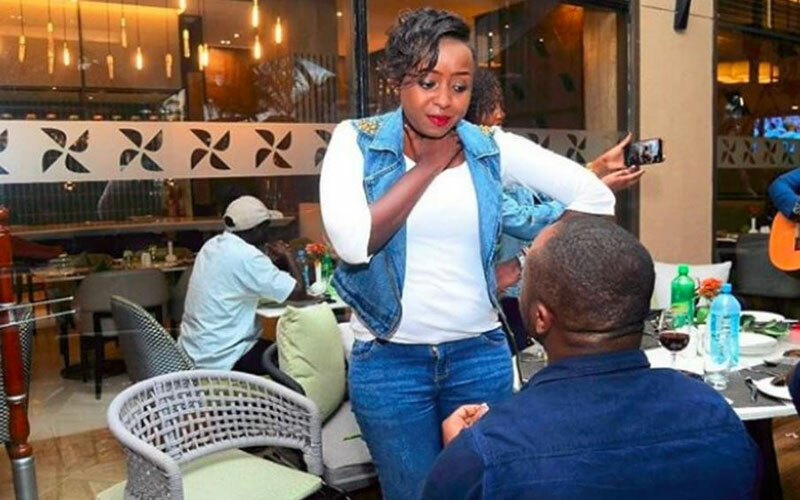 When Jacque Maribe's fiance proposed to her, we all thought that it was the end of the drama but today reminds us the celebrities should never forget the perils of their own fame. When you become a celebrity, you sort of lose yourself, your life shuttles between being yourself and the public figure everyone knows and expectations rise to levels you will never be prepared for. Once you choose that path (whether politics, fame, music or television, you understand that we are in the 21st century, where technology is built to shatter the walls of privacy and every move, decision or speech will be scrutinized to create a headline.